We’d had Nigerians for three years when I purchased Muse, my first LaMancha, a yearling in milk. At six months fresh, she dried up, which was disappointing, but I was eagerly looking forward to her kidding the next spring. We never saw her come into heat until December, even though we had two wethers with our does to help detect heat cycles. Because I didn’t own a LaMancha buck at the time, I drove her to another farm 75 minutes away for a driveway breeding. In spite of the buck successfully covering her twice, she came back into heat three weeks later. Not being in a position to drive to the other farm again, I decided to breed her to my Nigerian buck. She never got pregnant that year, but she wasn’t the only goat having fertility issues. We had about a dozen Nigerian does at that time, and several were not coming into heat or getting pregnant. My daughter Margaret did some reading and said she thought our goats were copper deficient, but over the months, four different vets said that was impossible. A year after we bought Muse, I bought a LaMancha buck, and the following spring Muse kidded with twin does. By June, however, she still had not shed her winter coat when we clipped her for a show. A couple of weeks later, she died unexpectedly. Having no idea what was wrong with her, I took her body to a vet for a necropsy, and I said I wanted to have her liver checked for copper. The necropsy came back listing Tyzzer’s disease as the cause of death, and her copper level was 4.8 on a scale where normal is 25–150 ppm. Tyzzer’s is a rodent disease, and in searching scientific journals, I was not able to find a single recorded case in a goat, although there have been a few cases in horses. Like any barn, ours has mice, and Muse probably ingested mouse poop at some point. But why would she get a disease that is unheard of in goats? My assumption is simply that her immune system was not functioning at an optimum level, leaving her vulnerable to a disease that a healthy goat would never have contracted. The vet insisted the whole thing was just a fluke and said that there was nothing I could have done to prevent her death, and he refused to give me prescription copper for my other goats. I started doing a lot of reading, however, and realized we had the worst possible scenario for creating copper deficiency. Our well water had iron and sulfur in it, which are copper antagonists and reduce absorption of available copper in the diet. On top of that, we had been feeding a commercial goat ration with only 10–15 ppm copper. 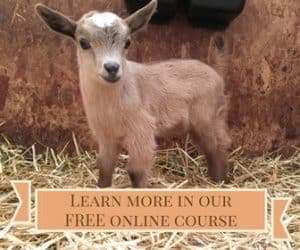 I contacted an animal scientist who had published articles on goat nutrition, and he advised finding a feed with 35–40 ppm copper. We also began giving the goats COWP. After changing our goat feed and giving COWP to the goats, we immediately saw faded, wiry-haired goats shedding their coats and replacing them with much softer and darker hair. That fall, all of the does came into heat, were bred, and stayed pregnant until term. 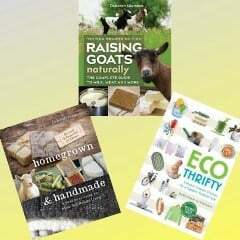 This is an excerpt from the second edition of Raising Goats Naturally by Deborah Niemann. 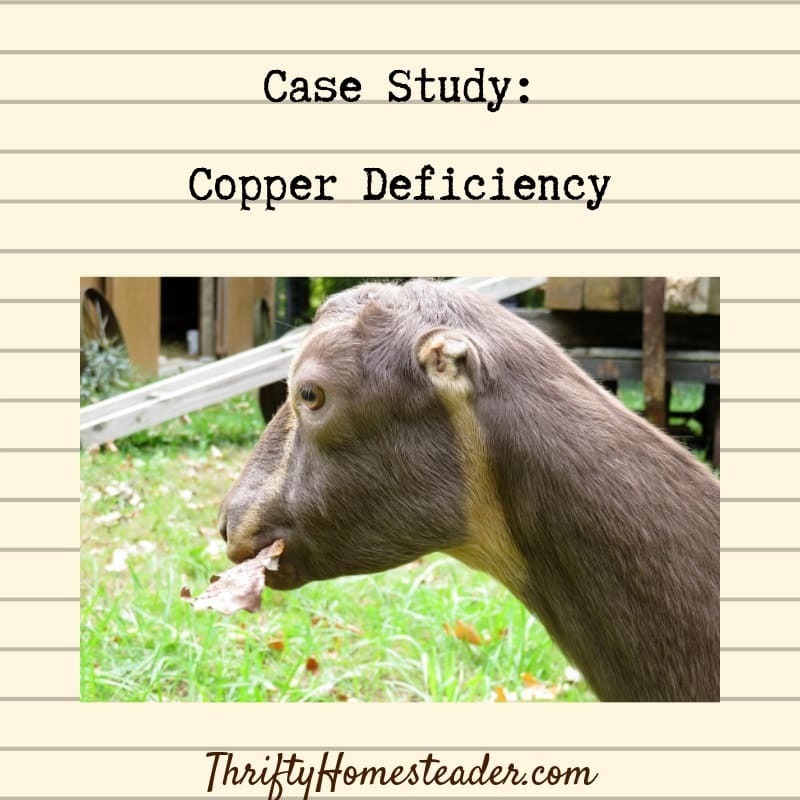 Learn more about Copper Deficiency in Goats and Avoiding Copper Toxicity in Goats. Thank you for this very informative article. 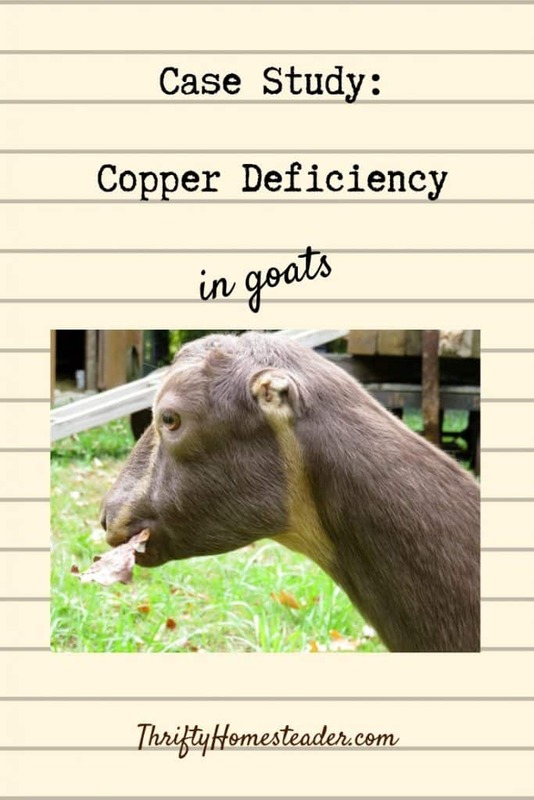 I am also having problems with copper deficiency in my Nigerian Dwarf goats. I am seeing lightened hair color, fishtails and also one doe has dry flaky skin and hair loss across her face and her ears. Her skin almost looks like she has mange, but none of the other goats has it and we have no problems with herd contamination from neighbours. Can you tell me what feed you switched to? I am looking for a good feed because other than alfalfa hay there is not much choice around here. I don’t have the same problems with my water as you did though. My goats don’t get much browse though as we have mostly red dirt and rocks on our land. The one other plant they can get is Madrone trees which they scarf down like candy! I do give them each about a half cup of sweet feed every day plus they have loose minerals (meat maker) readily available at all times. I give COWP once monthly year round as well as BOSE paste monthly. I am willing to switch them to a mostly pelleted diet if it will increase their copper levels. Any suggestions you give me would be much appreciated! The two brands that I’m aware of that have 35 ppm or more copper are Dumor Goat Sweet Feed (Tractor Supply) and Purina Goat Chow. Be sure to check the feed tag because both companies have other goat feeds that have 20 ppm copper. You should not feed them mostly pelleted feed, but you would replace the sweet feed you are currently feeding with a goat feed that has at least 35 ppm copper. I’ve never heard of anyone giving COWP monthly. What dosage are you using?